Streetfilms | Teasers & Bonus Videos from our upcoming Cambridge, UK Streetfilm! Teasers & Bonus Videos from our upcoming Cambridge, UK Streetfilm! 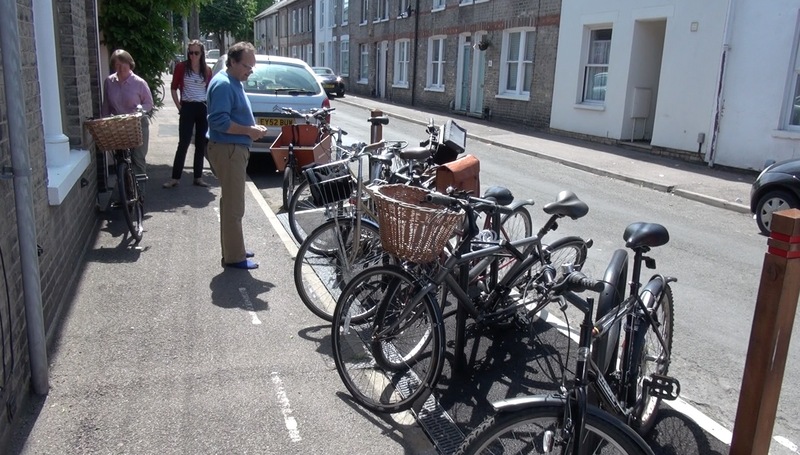 In early August we'll be debuting an exciting new ten minute Streetfilm from Cambridge, UK. The city lies about an hour train ride north of London and is easily the highest mode share for bicycling in Britain: 22% of residents ride (though some say it's even higher than that.) But the most fascinating thing is how the city has accomplished that without building a huge amount of protected bike facilities. Instead they have achieved at least the atmosphere of safety by using many traffic management techniques - including a series of rising bollards that prohibits drivers without transponders (which are mostly on buses & cabs) from entering the city center - making it a better place to walk, shop, eat and bike. They have also done much work over the past decades around the idea of "filtered permeability", a process by which neighborhoods have had key intersections re-designed so that only people walking and biking can use them but vehicles need to go navigate around. They've also recently begun converting most of their roads to 20 mph thanks to adopting the campaign by the organization "20 is Plenty for Us". (On a side note we will have an updated Streetfilm on that organization up by end of summer!) So enjoy these few bits we've posted here of various clips and extended bits that just didn't make it into the final film. Consider them just a small teaser of what you will be seeing in August! Posted in Streetfilms News. 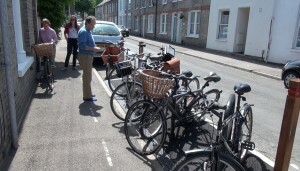 Tagged as Bicycling, Bikes, Cambridge, Filtered Permeabilty, United Kingdom.